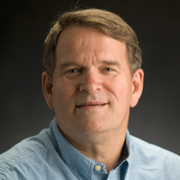 Keegstra is a University Distinguished Professor Emeritus in the MSU-DOE Plant Research Laboratory at Michigan State University and served as scientific director of the Great Lakes Bioenergy Research Center during its first nine years of funding. He also holds appointments in the Departments of Biochemistry & Molecular Biology and of Plant Biology at Michigan State University. Keegstra graduated from Hope College in Holland, Michigan, with a degree in chemistry and received a Ph.D. in biochemistry from the University of Colorado in 1971. Following postdoctoral work in biology at MIT, he held a faculty position at the State University of New York at Stony Brook and then in the Botany Department at the University of Wisconsin-Madison from 1977 until his move to Michigan State University in 1993. He served as president of the American Society of Plant Biologists. He is a member of the National Academy of Sciences.